Burma/Myanmar. Rangoon/Yangon. My father’s birthplace in Burma/India where he lived, worked and then died. Thailand my home now and where my son was born/India my home always and where I was born and the rest of my own family lives. The slashes we bear, the dichotomies we carry around, as identities slash labels slash etc. Today is 22nd July, my father’s birthday – Rayar Doraisamy Daniel, or R.D. Daniel as he liked to be known. Last year on this same day I was standing on the former premises of the Post Office building in Thingangyun district (pronounced Thenga’jun) in Rangoon, Burma. Thingangyun district was where my father was born. The post office building was where his father worked as a post master general. 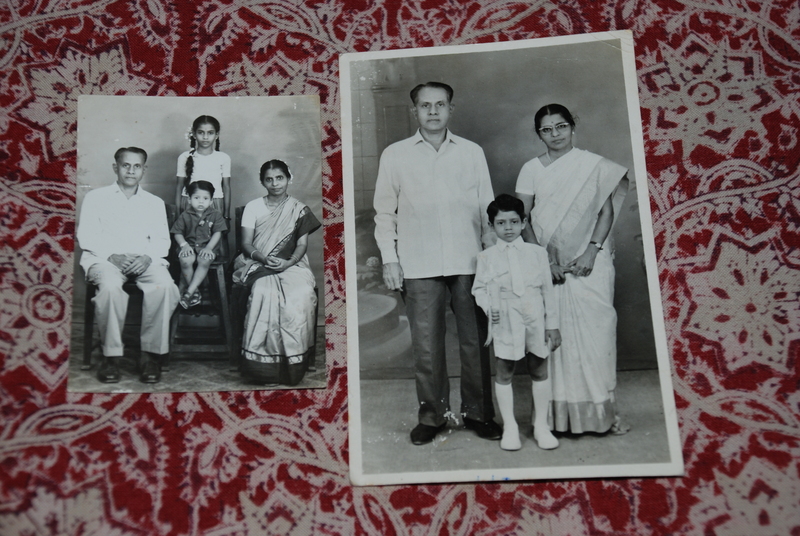 Then when my father was about 14 (around 1930s), he left Burma along with his younger brother Raju and his parents. I still don’t the exact place where he was born, or the year or date when they left Burma, or even why and, even more importantly, exactly how. I tried finding the house he lived in when I was in Burma last year but did not succeed. The closest I came to was that when I visited the church (St Joseph’s Catholic Church) which sits opposite the old post office, an old man who worked there perked up at the mention of my father’s name. He said that a “Jun uncle” in a Tamil family who lived nearby used to often mention his childhood friend “Daniel” who had gone back to India. When I eagerly asked if I could go visit Jun uncle, the man said he’d passed away about 10 years ago. I was visiting the place at least ten years too late. The Catholic church folks were Tamil but offered scant help. When I asked about looking at birth records, the young strapping looking parish priest took me aside and waved at a rubble of bricks and stones on the grounds. “We’re building this enclosure and we need money”, he smiled slyly and said. What an oily Tamilian weasel for a priest, I thought. Conjecture about the reasons for my dad’s family leaving Burma draws clues from the period that they left, ca 1930. At that period, there were anti-colonial fused with anti-Indian riots in Rangoon. Rangoon during that particular period was not a particularly favorable place for Indian migrants to live and make a living in. How then did they leave? Back in Madras, when I was young, my father used to talk about how he and his family and relatives “walked” all the way back to India: from Rangoon all the way up the north of Burma then crossing across to Calcutta and then down to the south of India. They walked. Thousands of stories certainly lie hidden behind that deceptively simple description: “we walked”. With the backdrop of an incipient civil war, anti-Indian riots in a city they had come to call home, and the beginnings of the British withdrawal to fight a larger world war that was fast looming, my dad’s family left Burma with whatever clothes and bags they could carry … and walked back to their homes and relatives in South India. More of course needs to be discovered so that one day Rawin Daniel can get ot know more about his Indian grandfather who was born not that far from Thailand this day. Rayar Doraisamy Daniel. Born: 22 July 1914. Passed away: 29 January 1986.